contact lenses, we’re here to help make it better. 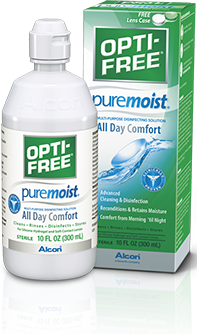 OPTI-FREE® Puremoist gives you all-day comfort. Enhanced comfort with top-notch cleaning and disinfecting power. 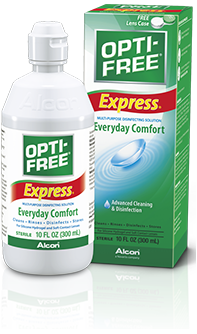 Polyquad® and Aldox® get rid of microorganisms that can cause eye infections. Works with your tears to create a shield of comfortable moisture. 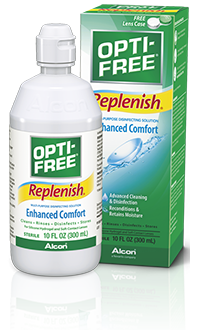 Keeps your contact lenses cleaner and clearer.